Ashburton Grove - Arsenal news and Arsenal opinion: Barca target Song -Pizzaman Fabregas -Wenger to raid La Masia? Barca target Song -Pizzaman Fabregas -Wenger to raid La Masia? I don't know about you, but I'm really quite bored with international football at the moment. What is the world coming to if a poor team like England can beat the world champions? Granted, I didn't see the game - as you all know by now I can't stand internationals - but by many accounts it was a dire match. All international football seems to be good for is injuring our players and making money for the national football federations. Luckily it appears we might have dodged the most likely of injuries, with Robin van Persie returning to London following his outing for Holland against Switzerland on Friday. Arsene Wenger has won his battle with the Netherlands boss Bert van Marwijk for the Arsenal captain to only play once in the international break and flew back to London yesterday. "Arsene asked me if I could please not play Robin in both games. I had a good talk with Wenger and we decided that Robin would play only on Friday. "After that we would send him back to London. I won't use Robin against the Germans." It makes perfect sense that the Dutch shouldn't want Robin injured either, so if they're provided with evidence they should consider it and make the decision Arsenal want them to make. If Robin gets injured and misses the European Championships they would only have themselves to blame. As it is, all appears to be well and van Persie will be available for Wenger next Saturday at Carrow Road. 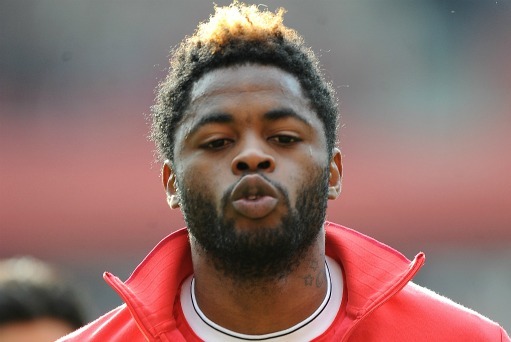 In other related Arsenal news, it appears Alex Song is wanting a significant pay rise if you read into the latest story in the Sunday Mirror. They report that Song is a target for Pep Guardiola because Seydou Keita is planning on leaving the European champions next summer. The Cameroon international still has more than three years to run on his present deal with the Gunners, but it appears we want to offer him improved terms if he'll agree to sign an extension. From what the newspaper report, he's been offered an extension which he's turned down. Which seems to be odd, as he has nothing to lose by signing a new contract because if another club want to buy him they'll have to pay a transfer fee for him no matter how long is left on his deal. To me this smacks of his agent looking to get a significant pay rise for his player. As I mentioned earlier in the week, Song has signed up with Darren Dein who is better known for moving on players from Arsenal rather than keeping them at the club. I don't see why Arsenal should be worried. They've got plenty of time to agree a deal with Song and I think the player himself needs to look over his shoulder and see who is coming through the ranks. In Emmanuel Frimpong and Francais Coquelin we have two exciting young players who can play in Song's position at the base of the midfield. They are going to be knocking on the manager's door very soon demanding more game time, because they've impressed a lot of Gooners with their performances so far. I'm a huge fan of Coquelin and think he'll do well for the club. At the moment he's got to work hard in training and impress the manager but already we've seen that Wenger has turned to him rather than Frimpong in the games against Manchester United and Spurs, where he was arguably one of the better players on the pitch. Frimpong is growing in stature too, but is a year behind Coquelin in terms of experience. Whilst Emmanuel was injured last season, Coquelin made regular appearances for Lorient. Perhaps Frimpong should see where he is in the pecking order in January and if there are offers for him and he's not getting much game time, look to move on loan to gain some more experience. As for Song's situation, he is the incumbent of that position. The youngsters have to win it from him. But I think they will be good enough. I can see Song staying for a couple of seasons before moving on. If he does sign a new deal that would be great because he's come on leaps and bounds. If not, I'm not too concerned at this moment in time. And talking of Barcelona brings us on to something I'm sure everyone knew, Cesc Fabregas was the player who threw the pizza at Sir Alex Ferguson in the tunnel at Old Trafford in 2004, reveals Martin Keown. Whilst we're talking Barcelona, the Daily Star Sunday in their coverage of the Eden Hazard, where will he end up next season debate, say Arsene Wenger is closely watching the progress of four Barca youngsters. They are: Sergio Roberto, 19, Martin Montoya, 20, Marc Bartra, 20, and Rafa Alcantara, 18. Now if the Spaniards were really that stupid to allow four of their top talents to be pinched from right under their noses, we should certainly be the ones who do it. Especially after their antics over the Cesc Fabregas transfer last summer. Whether it will happen remains to be seen, but it appears the Barcelona to Arsenal route is a well worn path, so I wouldn't rule it out. And finally, according to the Sunday People, we're monitoring the situation of Manchester United's French midfielder Paul Pogba, 18, who is out of contact in June. We're also keeping tabs on Leeds United's 18-year-old defender Monty Gimpel. If you missed the latest in our series of articles which cover the new signings Arsene Wenger made last summer and their impact in red and white since their arrival, for some extra reading have a look at Joss Bennett's take on Gervinho's performances in an Arsenal shirt. That's all for today. Enjoy your Sunday.